I was lucky enough to be invited recently to attended the launch of the report from the Commission on Dementia and Music in the House of Lords. I was not prepared for how this event would affect me – I felt truly blessed to be surrounded by so many people really fighting to get quality music provision to those who need it. I was also really impressed by the passion of these people and the willingness to actually DO something about it. I look forward to working with the Utley Foundation and others to help move things forward. I also felt extremely emotional because I really felt for the first time that I am part of something REALLY important AND that the media and government are really starting to take notice, and to finally realise what I have known for years – just how much music helps those with dementia. 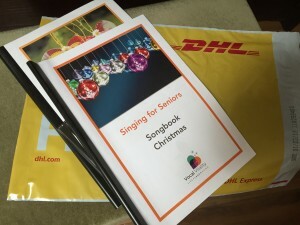 I love this work and I am so lucky to have found a job that is a true vocation to me, I hope that I can continue to bring fun to as many people as I can through the joy of singing together. 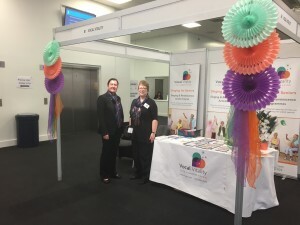 Wow – our very first time at the Alzheimers Show – we had a great time! We met lots of interesting people. It was great to be surrounded by like-minded people all with the common goal of helping people with dementia have a better quality of life. Our presentations were well attended and we got everyone singing along and waving scarves which was great fun! 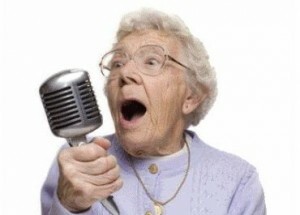 Everyone can benefit from having a good old SING! And most importantl – HAVING FUN! 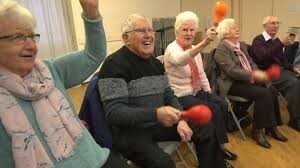 Keep Singing everyone – it really is good for you!